What was once the world’s premier tax haven, Switzerland is now on track to becoming the top jurisdiction for cryptocurrencies. While other countries have expressed skepticism towards cryptocurrencies, the Swiss government is embracing crypto. The fact is there’s no better place for cryptocurrencies and blockchain technologies. One of the most exciting projects in crypto valley is LAPO Coin (LAX). LAPO Coin aims to solve the biggest problem facing cryptocurrencies – volatility. On any given day, moves of 10% or more are quite common. This makes daily usage of cryptocurrencies problematic as a merchant cannot run the risk of engaging in a sale, only to see the value of that sale plunge. The solution to this problem is to integrate monetary policy. Just like how the Swiss National Bank stabilizes the Swiss Franc, the LAPO Coin will bring stability to the cryptocurrency world through the LAPO Stability Fund. The fund uses an AI Algorithm that releases shares or purchases LAX on key exchanges in predefined dangerous situations. The most common trigger for intervention from the LAPO Stability Fund is a “pump and dump” scheme commonly perpetrated by groups of crypto traders. All the gains resulting from this type of operation are deposited directly from the LAPO Stability Fund to the LAPO Foundation in regular intervals – either to a special Crypto wallet or to a Swiss bank account. The approach involves Seigniorage Shares. Seigniorage Shares differ substantially from the approaches taken by the likes of BitShares, Stabl, and MakerDAO, as it involves no collateralized obligations or short/long positions with respect to some underlying asset. LAPO Coin is the core currency of the LAPO ePlatform. All the transactions running on the ePlatform will always be converted to LAPO Coin immediately and can then be converted at any time to other cryptocurrencies or fiat at the exchange rate calculated during the transaction. The LAPO ePlatform will facilitate the integration and broad acceptance of the Blockchain technology into the traditional finance, making daily transactions simpler, cheaper, faster and safer. To complement the LAPO ePlatform, the LAPO Bank will be launched in Q4 2019. The key service of the LAPO Bank will be the LAPO Trading Platform. Merchants will be able to exchange fiat currencies to LAPO, LAPO to fiat, and LAPO to other cryptocurrencies. An additional offering of the LAPO Bank will be loans in fiat or selected cryptocurrencies with LAPO as collateral. This will strengthen LAPO’s position as the Swiss Franc of the crypto verse. Led by founder Luiis Franceschi, the LAPO team comprises individuals from the worlds of finance and technology from Switzerland, Europe, South America, and Australia. Luiis Franceschi has been involved in the startup scene in Zurich and Zug for over 10 years now. His connections and relationships in Switzerland’s crypto valley will drive LAPO to fulfilling its vision and completing its roadmap. The LAPO project has a total supply of 100 billion LAX tokens, of which 10 billion have been pre-mined to set up the blockchain. The rest of the tokens will be mined for rewards over a couple of years. From the total number of pre-mined tokens, 3 billion have been made available for a public presale in 3 Stages of the ICO. Stage 1 was run from April to May. Stage 2 is scheduled to run until June 1st, 2018. Stage 3 will run from June to finish the entire Ecosystem. Switzerland and the Swiss Franc are known for their stability and as a safe haven in times of crises. 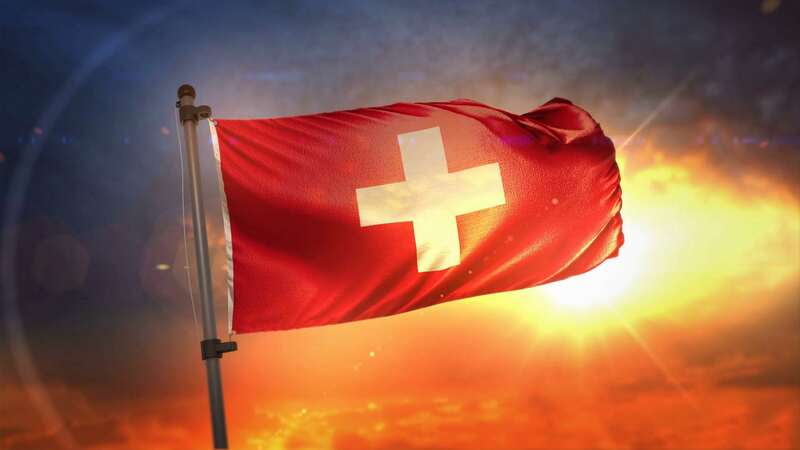 LAPO aims to follow its Swiss heritage and bring stability to the crypto world. With stability desperately needed in the crypto sphere, LAPO is indeed one of the most ambitious projects we have seen. Further details on the ongoing token sale and the LAPO project are available on the platform’s official website.